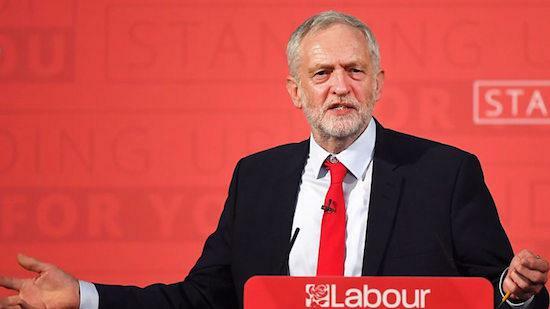 Labour leader Jeremy Corbyn has spoken about his plans to support independent music venues in the UK if elected in tomorrow's General Election. Talking to The Independent, he said: "What you have is a number of independent venues, sometimes pubs, cafes, so on, that have become almost informal live music venues," he said, "and the small cafe does well and 'hey presto' along comes Costa, Starbucks, Nero or something to take it over. "[It's] the same with pubs, which are often very reluctant to have live music on. Those live venues are absolutely crucial to the future of the music scene. So the £1,000 pub-licensing rebate is a good thing – we want to extend that a lot further." The comment came after he was asked whether he would look into controversial Form 696 legislation which many argue is used to discriminate against the grime scene and specifically against black performers. "I think what they see in us is a preparedness to engage in youth and do something for young people as a whole. It’s a sense of hope from us," Corbyn said of the support from many notable figures in the grime scene over the course of the election campaign.